Introduced in August 1977 by the retail electronics chain Radio Shack, the TRS 80 was the first complete, pre-asembled small computer system on the market. The Level I basic computer came with 4k RAM, a monitor, a casette and all the cables and adaptors needed and sold for $599.95. 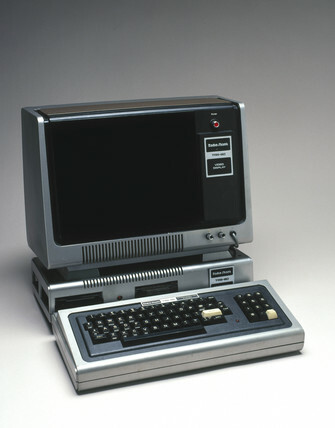 The Model III improved on its design by integrating the monitor and keyboard in one unit and having a faster casette interface. Both were powered by the Zilog Z-80 microprocesor and had Microsoft Basic built in.